The Intel® Compute Stick now comes in more flavours, with the announcement that an Ubuntu version (Intel product number STCK1A8LFC) will be available globally via major online and retail stockists. This new Ubuntu-based version of the Intel Compute Stick is expected to be priced at around $110 USD and will go on sale next week. The Intel Compute Stick sets a new standard for stick computing devices. It enables the transformation of a display into a fully functioning computer. 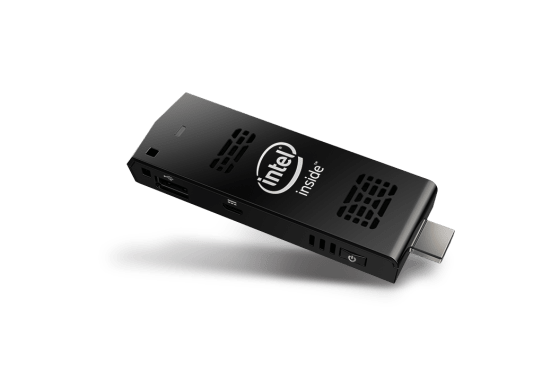 By plugging the Intel Compute Stick into any HDMI TV or monitor, and connecting it to a wireless router, keyboard and mouse, users can work, stream media and play games. The Intel Compute Stick with Ubuntu 14.04 LTS is small enough to fit in the palm of your hand and yet is powerful enough to house an Intel Atom quad-core processor. 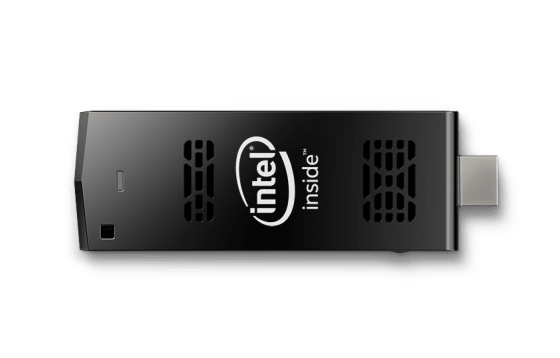 With 64-bit Ubuntu OS embedded, the Intel Compute Stick has all the performance needed for running thin client, embedded, collaboration or cloud applications. The Intel Compute Sticks makes it easy to stay productive whether in the office, a conference room, moving from desk to desk in the workplace or even in travel. Ample onboard storage means that regardless of location, your system and files are always with you. The on-board microSD card slot provides the option of additional storage enabling you to store even more music, movie and files more quickly and easily. And you don’t need to worry about theft, either. The Intel Compute Stick has a security notch for securing to objects with a cable, ensuring that your device moves only when you want it to.